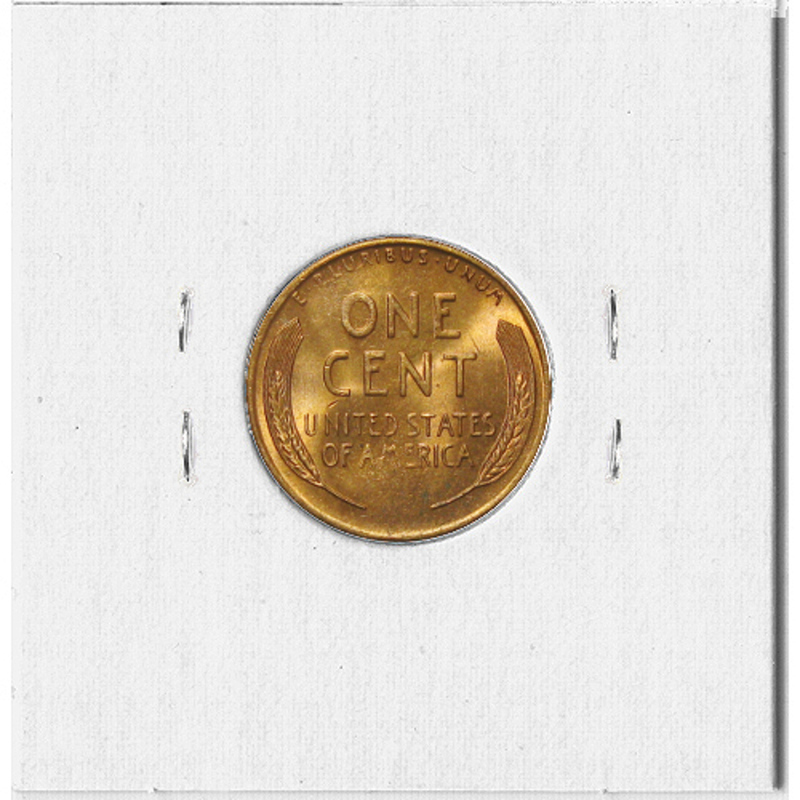 The Lincoln cent has been struck by the United States Mint since 1909. 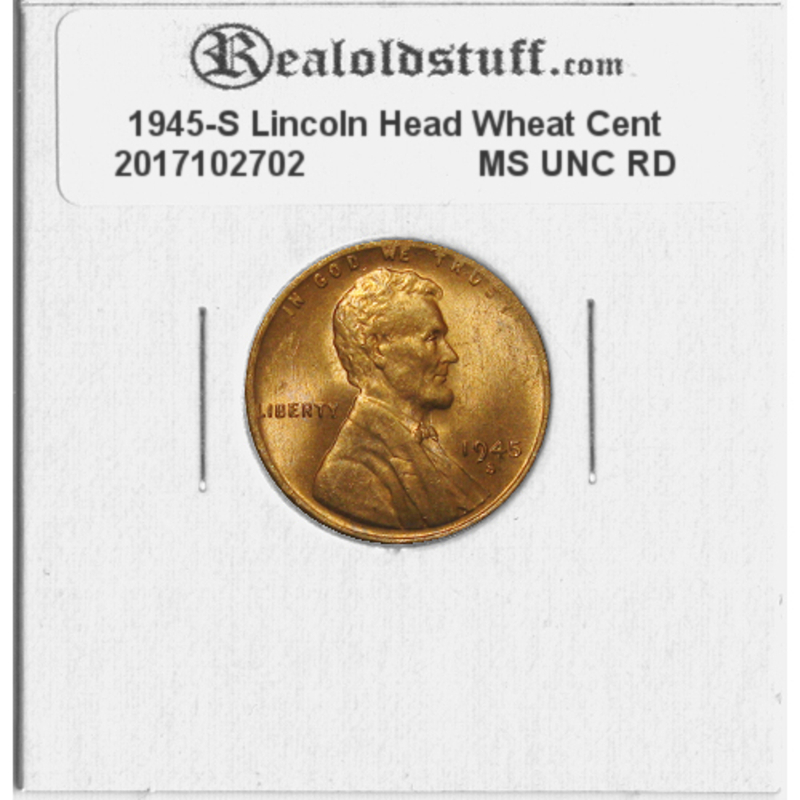 The obverse or heads side was designed by Victor David Brenner, as was the original wheat stalk reverse (the wheatie). The coin reverse saw a change in 1959 to show the Lincoln Memorial an then again in 2010 which now bears one by Lyndall Bass depicting a Union shield. Cents with and without Brenner's initials were struck at both Philadelphia and San Francisco in 1909. Coins struck at the Philadelphia mint have no mintmark. Cents struck at San Francisco were marked with an S. In 1911 the Denver Mint began striking cents with the mintmark D, and in most years in the following decades, all three mints struck cents. In 1975 the San Francisco mint ceased minting of circulation cents and begin producing only Proof quality cents specifically minted for collectors. 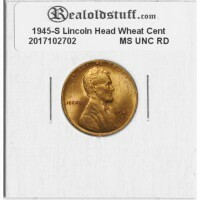 This is a 1945-S Lincoln cent in choice uncirculated condition. Brilliant Red minted in 95% copper and 5% zinc a stunning piece for any collection. The Lincoln cent has been struck by the United States Mint since 1909. The obverse or heads side was..